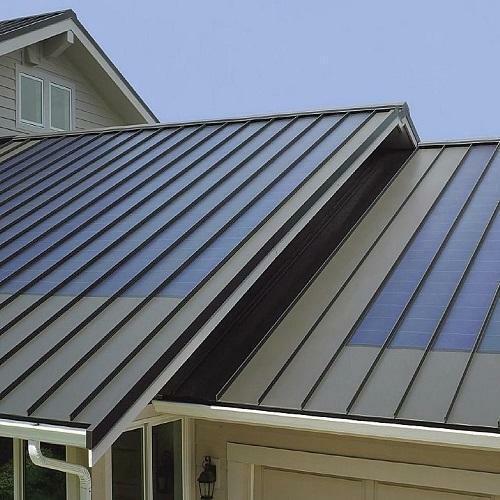 To satisfy the varied demands of our valuable clients, we are highly engaged in offering optimum quality Standing Seam. Established in the year 2008, Welcome to INFRA93 INDUSTRIES, one of the leading Manufacturers, supplier & contractors of world class warehouses / factory / plant inclusive of PEB, Conventional shed, metal roofing, wall cladding, turbo ventilators, deck sheet, standing seam, louvers, FRP/Poly carbonate sheet & insulated sandwich panel to meet the need of fast growing Indian industry from their factory. We understand the client needs, offer & complete solution from Design, manufacture, installation to completion. We provide cost effective solution, which are sound leak proof & gives aesthetic look to the building. Roof and wall cladding system designed using latest technology & economical products with features. Such as longevity & durability besides providing a new lively look in to the building. Our experienced engineers, Supervisor & highly skilled sheet erectors make one of the best team to satisfy your project requirement with safety, speed & Quality.